From Facials to Facelifts Is your skin showing signs of a life well lived? We can help you gain smoother, tauter, suppler skin with an assortment of procedures. We offer a variety of facial surgery procedures to help you achieve the features you desire. The OAC is located at 641 E. Forest Street and is part of the Oconomowoc High School campus. It is located in the south central part of Oconomowoc immediately west of Oconomowoc Memorial Hospital, one block west of Summit Avenue (Hwy 67) which is the main north/south artery into the city. The Oconomowoc Arts Center mission is to provide patrons and artists of all ages, a professional, cultural and educational experience with the highest quality programming opportunities possible. Sign up for our OAC monthly email news blast and find out whatâ&#x20AC;&#x2122;s happening. Coupons, special offers and up to the minute details of events are just a few of its highlights! To join, call the box office to have them add your information to the list. setting for business meetings, conferences, seminars as well as performances such as recitals, theatrical events and guest speakers. The OAC only rents to non-profit organizations. Please call Michael Duncan at 262-560-2130 for more information and scheduling a tour. Volunteer Opportunities Support the OAC by giving your time and talents. For more information, please contact our box office at 262-560-3172 or by emailing info@theoac.net. The OAC app is available free at the Apple App Store and Google Play. Look for special offers and videos of our seasonâ&#x20AC;&#x2122;s performances. A new campus lifestyle designed for independent seniors, Shorehavenâ&#x20AC;&#x2122;s Lake Terrace Apartments East offers 47 apartments on the Lac La Belle shoreline. Catered living empowers residents to design their own lifestyle, choosing from nine floor plans and an array of additional support services. Residents may choose the services they need, when they need them. The community includes balconies, lake views, pier access, dining venues through a casual cafĂŠ and full-service restaurant, heated underground parking, salon, pet recreation area, movie theater, pavilion, and Fitness Center with an indoor pool. Call 262 560-6919 or email snissen@lho.org to learn about this new opportunity in senior living. 10 a.m. & 12:30 p.m.	7 p.m.	1 p.m. & 7 p.m.	2 p.m.	7:30 p.m.
through March 21	Dinner: 5:45 p.m., Show: 6:30 p.m.	Dinner: 6:15 p.m., Show: 7 p.m.	Dinner: 6:15 p.m., Show: 7 p.m.
Whitman Park Shopping Center 1083 Summit Ave. Oconomowoc 262.567.0271 | www.benfranklincraftswi.com Ben Franklin Crafts is independently owned. “Ben Franklin” and “Ben Franklin Crafts” are licensed trademarks of HMStores BFC, LLC. NYU’s original co-ed a cappella group, APC Rhythm. Mike has performed in multiple NYC theatre festivals and original musicals, most recently in the Off-Broadway a cappella Fringe Encore musical production of “The Extraordinary Fall of the Four Legged Woman.” Andrew John Kim bass, is an a cappella producer, recording engineer and arranger from New York City. Andrew received his Bachelor of Music in music composition from Northwestern University and his Master of Music in film scoring from New York University. At Northwestern, Andrew was a founding member of the a cappella group, Extreme Measures. Andrew is the current music director of Backtrack and creates all of the group’s musical arrangements. Johnny Buffalo beatbox, attended SUNY Fredonia for classical guitar and sound recording technology. After learning how to beatbox his senior year, Johnny moved to NYC, where he assimilated into a community of beatboxers, which helped shape who he is today. He has worked with Hip Hop Re:Education Project and Urban Art Beat and performed at the Brooklyn Hip Hop and Trinity Hip Hop Festivals (where he opened for Talib Kweli). He also competed in the American Beatbox Championships in 2015 and 2016. For more information, visit www.backtrackvocals.com. Saturday, Sept 22, 2018 7:30 p.m.
Saturday, Oct 13, 2018 7:30 p.m.
Just in time for the holidays, the Eric Mintel Jazz Quartet returns to the OAC with its Charlie Brown Jazz concert. The quartet will perform favorite holiday classics and original versions of songs by famed composer Vince Guaraldi, the man behind the immortal score for A Charlie Brown Christmas. Featuring pianist and composer Eric Mintel, Nelson Hill on sax and flute, Jack Hegyi on electric and upright bass and Dave Mohn on drums, the world-class virtuoso jazz musicians have been entertaining audiences of all ages with their electrifying jazz for more than 25 years. Saturday, Dec 15, 2018 7:30 p.m.
Saturday, Jan 19, 2019 2 p.m.
Tapestry: Tribute to Carole King Carole King is one of the most successful and revered female singer-songwriters in pop music history. More than 400 of her compositions have been recorded by over 1,000 artists, resulting in 100 hit singles. Tapestry: Tribute to Carole King faithfully recreates the glorious sound of a Carole King concert, leaving audiences with memories of the great music she wrote and recorded, including You’ve Got a Friend, Natural Woman, It’s Too Late, So Far Away, I Feel the Earth Move and Beautiful the title song of the mega-hit Broadway musical about the life and times of one of America’s most prolific, honored and revered singer-songwriters. Saturday, April 6, 2019 7:30 p.m. Autumn. 1940. London. Never have so many been so inspired by one man heroically leading the British people to victory from a London rooftop. Experience one night of The Blitz, the German bombing of London. Never fear - Winston is here! Wisconsin native, Randy Otto portrays an astonishingly nuanced, humorous and witty Winston Churchill with gravitas and grit. Churchill scholar, motivational speaker and performance artist Randy Otto has honed the concept into a one-man show designed to shatter the imaginary fourth wall, transporting the audience from tears to laughter and back again. Saturday, May 18, 2019 7:30 p.m.
By donating to the United Performing Arts Fund, you can provide children with an outlet for creativity and expression. You can help create jobs and boost the local economy. You can make our city a more creative place. To put it simply, your support of Milwaukee’s performing arts makes life better for everyone. Donate today at UPAF.org/donate Special thanks to Meijer Foods for their support of UPAF’s West Side Initiative. Tom and Evan Leahy Band featuring Stas Venglevski Popular father and son musical duo, Tom and Evan Leahy return to the OAC stage with their distinctive folk, Irish, Americana and bluegrass music. Originally part of Milwaukeeâ&#x20AC;&#x2122;s favorite Irish Folk Band, Leahyâ&#x20AC;&#x2122;s Luck, Tom and Evan are joined by worldrenowned bayan accordion virtuoso, Stas Venglevski to round out the folkinfused merry-making. The audience will recognize many folk rock classics from Bob Dylan, Johnny Cash, Grateful Dead, Bruce Springsteen, Tom Petty and even John Denver. Friday, Jan 11 & Saturday, Jan 12, 2019 Dinner: 6:15 p.m. Show: 7 p.m.
Pomegranate Balsamic Goat Cheese Stuffed Chicken Breast with Prosciutto Wrapped Asparagus and Rice Pilaf, salad and assorted desserts. Sentimental Journey: A Tribute to Doris Day – Kerry Bieneman Quartet Get ready to reminisce as Kerry Bieneman and her quartet bring you Doris Day’s biggest hits, including Secret Love, A Guy is a Guy, It’s Magic and Que Sera, Sera. The audience will be snapping their fingers and singing along with many of her toe-tapping hits from the 40s-60s and her blockbuster films. Take a stroll down memory lane as Kerry Bieneman on piano and vocals, Jay Kummer on guitar, Brad Karas on bass and Tim Karth on drums pay tribute to the greatest girl next door! Friday, Feb 8 & Saturday, Feb 9, 2019 Dinner: 6:15 p.m. Show: 7 p.m.
Crispy Chicken Cordon Bleu with Roasted Broccoli and Purple Cauliflower and Pasta Alfredo, salad and assorted desserts. Friday, March 15 & Saturday, March 16, 2019 Dinner: 6:15 p.m. Show: 7 p.m.
Creamy Honey Mustard Chicken with Bacon, Roasted Rainbow Carrots and Garlic Parmesan Fingerling Potatoes, salad and assorted desserts. Fish option available upon request. Must order in advance. Chef Jenny Back by popular demand, the Cabaret Café returns to the OAC’s intimate Little Theater. Audiences will be treated to an evening of amazing live music, paired with tantalizing dishes prepared by OAC Executive Chef Jenny Truchan. Dinner selections compliment the type of music and ambiance of the shows. Menus are listed with each show. Tickets can be purchased with dinner or as a show only ticket. Please note, this is not a buffet meal. The dinner purchase includes one serving each of the entrée, sides, dessert and beverage. Should additional servings be desired, a la carte items are available for purchase. Audience members that do not purchase a dinner ticket can grab a bite to eat, enjoy a dessert and/or purchase beverages separately. Rediscover hope and healing, Right down the road. If you or someone you love is struggling, Rogers Behavioral Health is here to help. As a leading mental healthcare organization with deep roots in the Oconomowoc community, we’re committed to providing the highest level of care for children, teens, and adults with: • Eating disorders • OCD and anxiety • Depression and mood disorders • PTSD • Addiction Learn more at rogersbh.org or call 800-767-4411. ComedySportz is their name and improv is their game! Back by popular demand, this professional improvisational comedy troupe will bring their antics live from Milwaukee to the OAC’s Little Theater. Every show is completely different, always hilarious and appropriate for all ages. The show features two teams of comedian “Actletes” competing for laughs and points, with a referee keeping things moving, awarding points and calling fouls. The comedians on stage rely on suggestions called out from audience members as they develop scenes, characters, and compose song lyrics on the spot. Arrive early to enjoy dinner, snacks and refreshments. Refreshments and food will also be available during intermission. Food Purchases Begin at 5:45 p.m. Show Begins at 6:30 p.m.
Congratulations OAC on 11 years of service to the community! DIST I NCT I V E. DETA ILED. ENDUR I NG. performances, and jazz band participants add their talents to district-wide jazz concerts. OHS also has thriving athletic programs, having won the Wisconsin Little Ten All-Sports Award for six consecutive years, and recently transitioned into the Classic 8 Conference in 2017. Over 750 students participate in athletics annually, with one third of those students attaining scholar athlete status. The Oconomowoc Area School District is a special place, with a faculty, staff, and administration committed to helping every child succeed. At the same time, we recognize that schools alone cannot prepare children to be future leaders. That is a partnership shared with the community, and we are fortunate in Oconomowoc to have a community that takes that partnership so seriously. We are grateful for that support and look forward to continued learning and growth. Whether you join our community-based Wellness Connection or experience our full continum of care, we welcome you. Be well. Be home. Be family. New York Times bestselling author, musician and humorist, Michael Perry unravels his accidental trip into writing about life when he returns to the OAC’s intimate Little Theater for an evening of hilarious and heartfelt storytelling. Michael was last seen on the OAC’s Main Stage last January starring in his heartfelt play, Population: 485 – Meeting Your Neighbors One Siren at a Time based on his extraordinarily popular book, Population: 485. Prior shows have sold out, so get those tickets early. www.sneezingcow.com. 10 a.m. and 12:30 p.m. Kids ages 4 to 10 are invited to get an exclusive behind the scenes look at what goes into the making of MainStage Academy of Dance’s production of The Nutcracker. Meet cast members, learn a few dance movements, create a craft to take home and learn what goes into putting on make-up and styling hair. 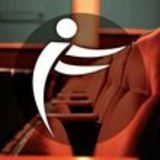 www.wedancemainstage.com. MainStage reserves the right to move kids from one session to another if a session does not reach a minimum of 8 kids. Sunday, April 14, 2019 4 p.m.
ON OR OFF STAGE, ULS KIDS STEAL THE SHOW At ULS, our highly competitive theatre program matches the rigors of our academic curriculum. When it comes to discovering student talents, we shine a light on everyone. SCHEDULE A TOUR CONTACT DEB SMITH AT (262) 367-6011 EXT. 1455 OR DEB.SMITH@UNIVERSITYLAKE.ORG ULS welcomes qualified students without regard to race, ethnic origin, creed, gender, or financial need. Just in time for the holidays, the Eric Mintel Jazz Quartet returns to the OAC’s Main Stage with its Charlie Brown Jazz concert at 7:30 p.m. Saturday, December 15. The quartet promises to pull at the audience’s nostalgic heartstrings as they perform favorite holiday classics and original versions of songs by famed composer Vince Guaraldi, the man behind the immortal score for A Charlie Brown Christmas. Featuring pianist and composer Eric Mintel, Nelson Hill on saxophone and flute, Jack Hegyi on electric and upright bass and Dave Mohn on drums, the worldclass virtuoso jazz musicians have been entertaining audiences of all ages with their electrifying jazz for more than 25 years. “We are so excited to have the opportunity to perform again on the Oconomowoc Arts Center’s stage. The facility is so beautiful and the piano is pretty awesome, too!” said Mintel. A Charlie Brown Christmas features wellknown Christmas songs and several original pieces, including Christmas Time Is Here, Skating and the legendary Linus and Lucy. 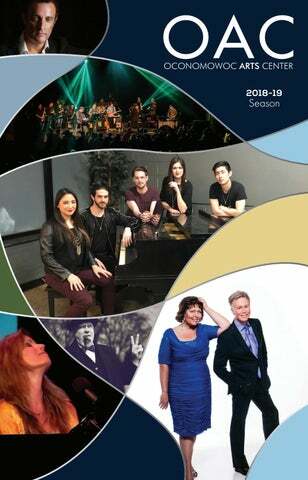 The OAC is proud to have a full season of visual arts programming. These events are open to the public, free of charge and available for viewing during regular box office hours, 90 minutes prior to show times and while shows are in progress. Exhibits are located in the OAC lobby area. For more information, please call the box office at 262-560-3172. Meet n’ Greet: 6 to 7:15 p.m., Saturday, Sept 22 Prior to the Main Stage concert of Backtrack Vocals at 7:30 p.m.
Meet n’ Greet: 6 to 7:15 p.m., Saturday, Oct 13 Prior to the Main Stage concert of Steely Dane at 7:30 p.m.
Meet n’ Greet: 5:30 to 7 p.m., Saturday, Dec 15 Prior to the Main Stage concert of the Eric Mintel Jazz Quartet at 7:30 p.m.
Meet n’ Greet: 5 to 6:30 p.m., Saturday, Jan 12 Prior to the Cabaret concert of the Tom and Evan Leahy band at 7 p.m.
Meet n’ Greet: 5 to 6:30 p.m., Saturday, Feb 9 Prior to the Cabaret concert of the Doris Day tribute at 7 p.m.
Meet n’ Greet: 5:30 to 6:45 p.m., Tuesday, March 12 Prior to the OHS Wind Symphony concert at 7 p.m.
Meet n’ Greet: 5 to 7:30 p.m., Monday, June 3 Prior to the OHS Senior Awards Night at 7 p.m. Serving Lake Country for over 30 years Offering a large selection of adult and children’s books, magazines, unique gifts, notecards, toys, and puzzles. Check out our author events, book clubs, and kids programs at booksco.com. Open House Alana Michaels The community is invited to help celebrate a new season with the annual OAC Open House from 6 to 8 p.m. Saturday, July 14. Sponsored by Fox Brothers Piggly Wiggly, the event will offer a free cookout on the outdoor patio featuring brats, hamburgers and hotdogs with all the fixings. Guests are invited to walk through the facility and enjoy live music entertainment featuring singer/songwriter Alana Michaels on the Tri-Clubs Plaza outdoor patio. A variety of local arts, community and school organizations will also be on hand in the OAC lobby with information and demonstrations. The first visual arts series art exhibit for the season will debut with original works of art by Scott Williamson and Richard Wandell. The exhibit will be featured in the OAC art gallery through Aug. 31. The OAC Box Office will also be open from 5:30 to 8 p.m. for the 2018-19 season ticket purchases. OAC Fourth Annual “Arts In Bloom” Gala TO BE ANNOUNCED The fourth annual Arts In Bloom Gala fundraiser for the Oconomowoc Arts Center includes a sit-down dinner, silent and live auctions, live entertainment and music and a celebration of the OAC’s upcoming season. Proceeds will benefit the Building Preservation Fund to help maintain and upgrade the arts center. For information and to receive an invitation to the Arts In Bloom Gala event, email info@theoac.net or call the OAC box office at 262-560-3172.
honing his craft to dramatically emulate the larger-than-life man on stage. With a degree in theater and time spent on the Milwaukee Repertory Theatre’s stage and others, Otto is well-versed in how to reach his audience. Bringing Churchill to life Otto’s journey into Churchill began in 1973 when his British History professor, Dr. Maxwell Schoenfeld challenged him not only to study Churchill’s life academically, but to emulate the great man on stage. “He encouraged me to tell Churchill’s stories on stage so that people wouldn’t forget about him. I give credit to Max for every performance and it’s no accident that my son is named after him,” he admitted. the International Churchill Society. He is also affiliated with America’s National Churchill Museum located on the campus of Westminster College in Fulton, Missouri and is helping to complete The Churchill Documents, a series in the official biography of Winston Churchill, as part of the Churchill project at Hillsdale College in Michigan. This last December, Otto attended a private screening at Hillsdale College of the recently released film, The Darkest Hour starring Gary Oldman as Churchill. Otto had the opportunity to meet and converse with the award-winning actor. Otto also has fond memories of taking his family to see famed actor, Hal Holbrook in his one-man show, Mark Twain Tonight in 2009. “My friend and the president of Hillsdale College, Dr. Larry Arnn, introduced me to Gary as the second greatest Winston Churchill in the world!” laughed Otto. 1650 Brown St. Oconomowoc A Ministry of St. Matthew’s Evangelical Lutheran Church & School • AGES SERVED – 6 weeks to 13 years • STATE LICENSED • SERVICES OFFERED – Full-Time and Part-Time Child Care, Drop-In Care, and Summer Camp • MEALS – Nutritious snacks and lunch provided daily • HOURS OF OPERATION – Monday - Friday from 6:00 AM – 6:00 PM Contact the Early Childhood Director, Amber Terry, with questions today. ACCEPTING ALL AGES FOR OUR WAITING LIST! Box Office The box office is located in the lobby of the arts center at 641 East Forest Street, Oconomowoc, WI 53066. The OAC is adjacent to Oconomowoc High School and is just west of Oconomowoc Memorial Hospital. Box Office Hours Monday - 9 a.m. to 2 p.m.
Tuesday, Wednesday and Friday Noon to 5 p.m. Thursday - 4 p.m. to 7 p.m.
•	In Person at the box office: Visa, MasterCard, Discover, cash and local checks accepted. •	Over the Phone and Online: Visa, MasterCard, Discover accepted. •	All Service Fees and Taxes are included in the price of the ticket. •	A $4, Per Order, Internet Transaction Fee will be applied to all online orders. •	Mailing your order requires an additional postage and handling fee of $1.50, or place your order at will call for FREE. The box office will not mail tickets less than 72 hours prior to the event. •	Full payment is required on all orders. ALL SALES FINAL. Sorry, no refunds. •	Exchanges are permitted 24 hours prior to event time subject to availability. Exchanges must be for a ticket for the current season. •	Accessibility to the OAC is available to everyone. Patrons needing special seating or access should call ahead to 262-560-3172. The OAC will provide assistance. •	Hearing impaired patrons may have FREE access to the OAC’s FM assisted listening system. Call the box office ahead of time to have one reserved. Visually impaired patrons, requiring signing, should call two weeks prior to the performance to make arrangements. This is also a FREE service. •	Weather related cancellation information is available by calling 262-560-3172. Putting Group Tickets On Hold If you are ordering tickets for a special group of 20 or more and would like to have us hold your reservation for a later date, you may place the order with a 20% nonrefundable deposit. The group discount of 10% off the total order will be included. When finalizing your group order you may do so over the phone or in person. The box office will issue a deadline for completion of your order a minimum of three weeks prior to the date of your event. This offer is not available online. Holds are for Special Groups only, does NOT include regular ticket sales and is applicable to OAC events only. Holds do not apply to rentals, special events or any shows in the Little Theater. Save all season â&#x20AC;&#x201C; Save the $4 Internet Transaction Fee throughout the year by purchasing your tickets in person or by phone during regular business hours at the box office. Please, No Food or Beverages are permitted in the theaters except for bottled water, with the cap on, or where allowed in the lobby area. Where Can I Sit? All 759 seats in the Neudecker Main Stage Theater offer excellent views and acoustics. Our box office can be of service with any questions you may have. The OAC is ADA compliant. We have a limited number of wheelchair accessible seats. Please let the box office representative know that you will need accessible seating at the time of purchase. Our circle driveway allows easy drop off and parking that is next to the front entrance. Wheelchair accessible doors and no steps to the front doors make entering and exiting simple. A gradual slope in the theater allows for easy and safe admittance. The Little Theater is also ADA compliant. Since this space is used for a variety of different set ups from general seating to a cabaret theater, the number of seats depends on the type of show. Again, the box office can answer any questions or aid you with accessibility concerns. Late Arrivals Out of courtesy to the performers and audience, patrons arriving after the performance has begun will be seated at the discretion of house management â&#x20AC;&#x201C; possibly not until intermission. Seat selection may not be available 1/2 hour prior to performances. Bringing Children Patrons are discouraged from bringing any child younger than the age of 6 to performances, unless that particular performance is geared toward or appropriate for younger audiences. Parents are encouraged to contact the box office for information about the appropriateness of a given performance for younger children. Booster Seats are available. Check with an usher for assistance, first-come-first-served. IF YOUR CHILDREN ATTEND A PERFORMANCE WITH YOU, A TICKET WILL NEED TO BE PURCHASED FOR THEM. There is NO lap seating for children. This includes children of all ages, including infants. In addition, parents are responsible to supervise their children when in the theater and lobby. It is recommended that patrons arrive approximately 20 minutes prior to the start of a performance. This allows for time to park, check your coat (a free service at the OAC), use of the restrooms, and finding your seat without feeling rushed. Occasionally there may be a misprint within this program guide. We will make every effort to correct the error as soon as possible. We reserve the right to change program schedules as needed to accommodate demand or building use conflicts. We specialize in meeting our customer’s needs with timely service and flexible hours. • New Construction • Historical Renovations • Existing Residential • Commercial/Industrial • Fully Insured We are also Lead Abatement Contractors for the State of Wisconsin! Wilkinson Woods is a community that residents happily call home. We invite you to visit and see all that makes Wilkinson Woods such a special place to live. CALL 262-567-1166 TO SCHEDULE A PERSONAL TOUR TODAY! Wilkinson Woods is an intimate and personal setting, where staff knows each resident on a first name basis. It’s a community of people dedicated to helping every individual stay healthy, active and engaged. Wilkinson Woods is one of Oconomowoc’s best-kept secrets — tucked away in a lovely wooded setting, yet conveniently located near shopping and area attractions. Today more than ever it’s important to make the right decision when considering an assisted living community — one that you know will deliver the quality of care, and the quality of caring you expect for a loved one.